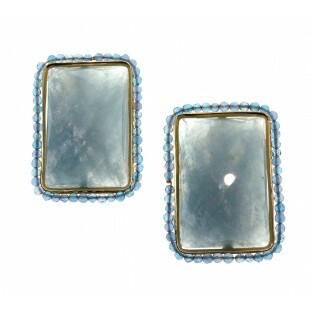 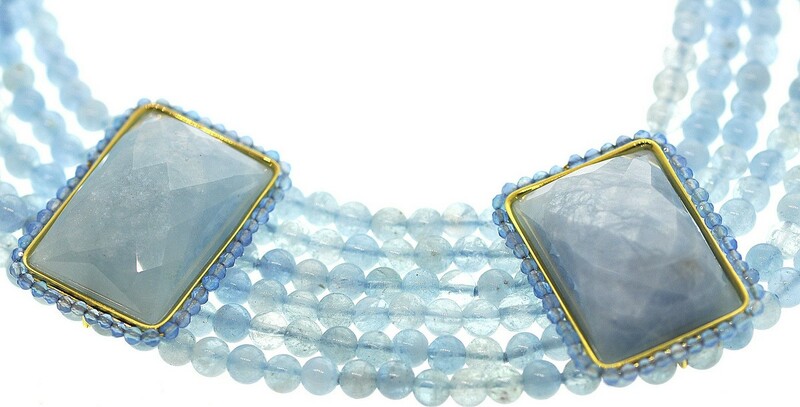 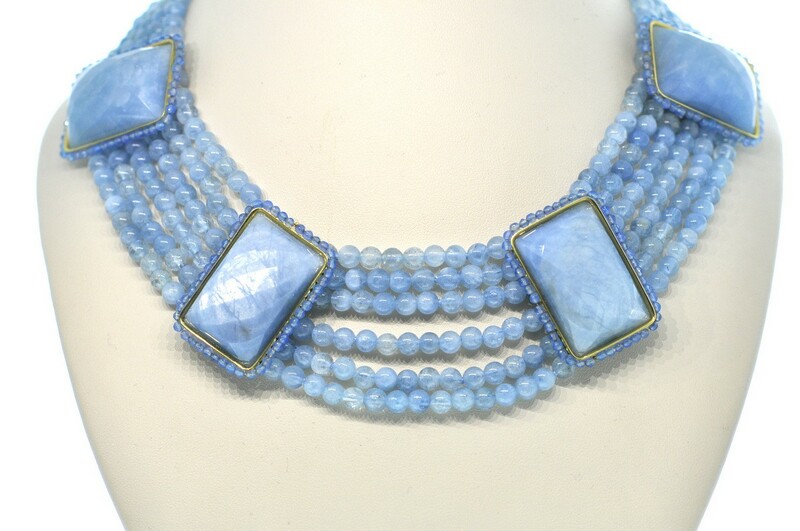 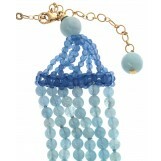 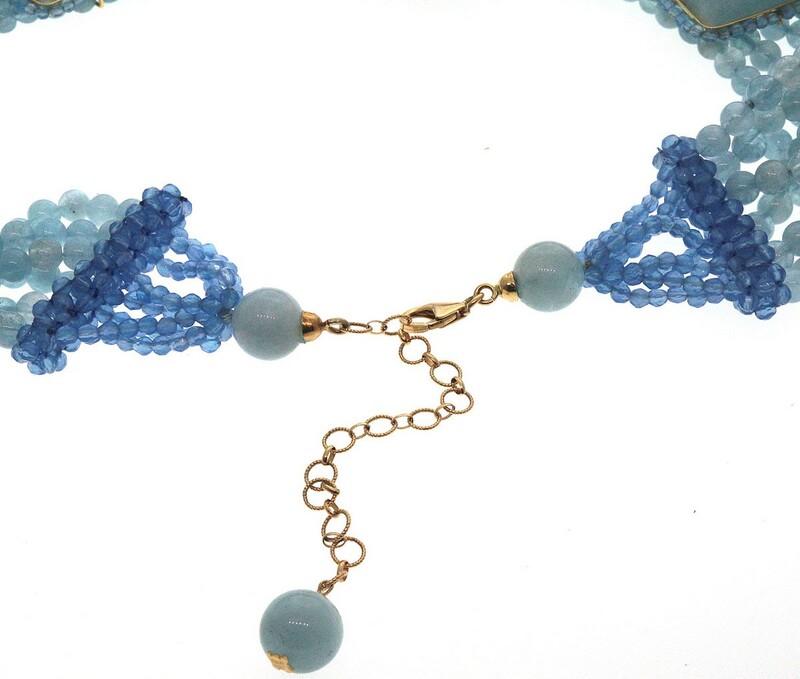 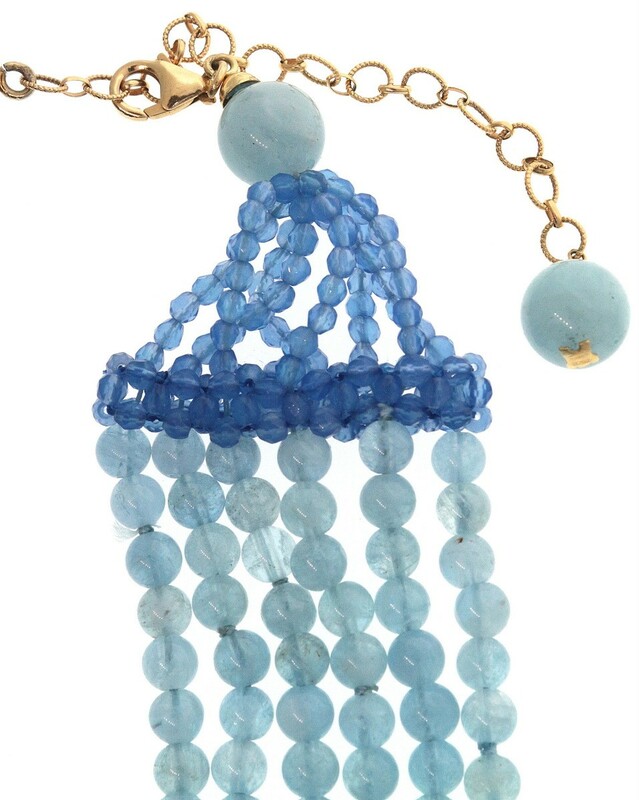 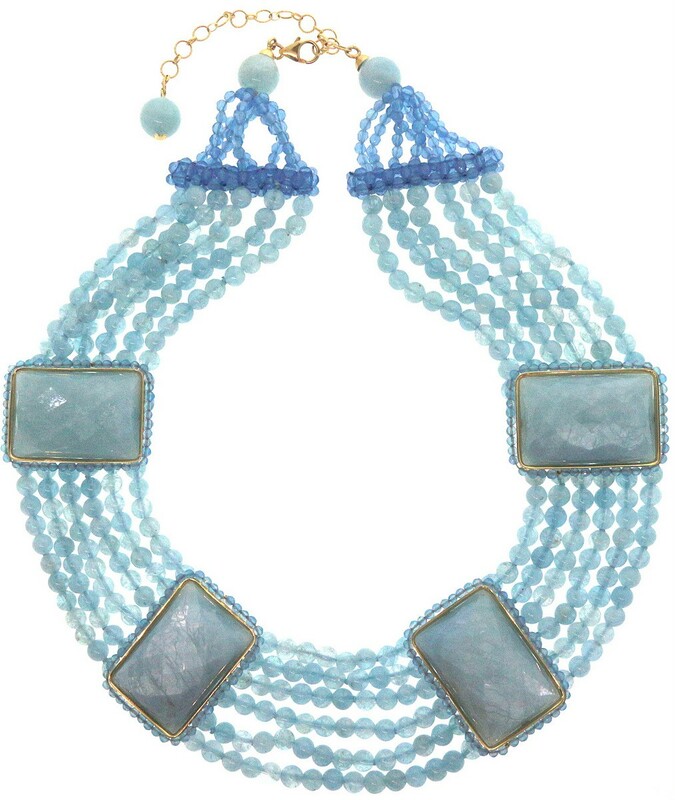 Collier necklace hand crafted of 18K yellow gold with four faceted aquamarine gemstones accented with faceted blue agate gemstones. 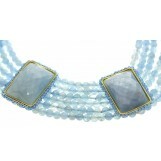 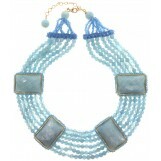 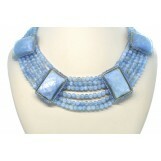 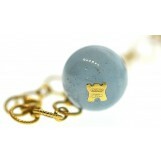 This fabulous necklace features an adjustable clasp which allows it to be worn either as a 16" choker or 18" necklace. 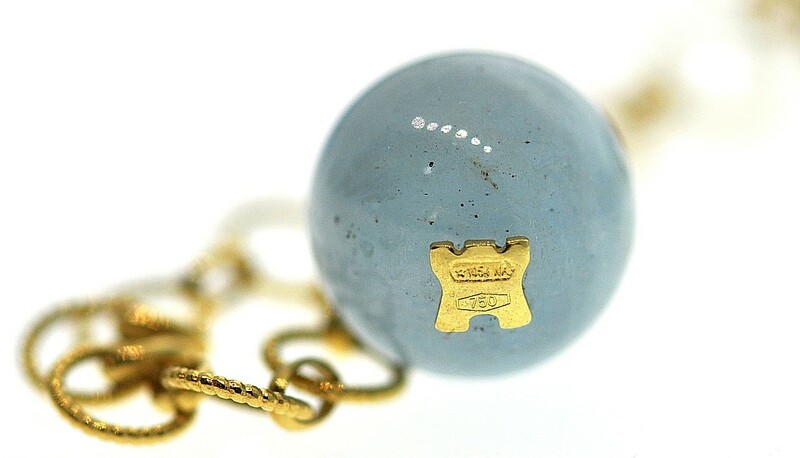 Marked with the Rajola castle logo tag.